Hi Everyone! Ethos is excited to announce a working relationship with Bitdegree. Bitdegree is offering an innovative educational solution in the blockchain space. The BitDegree platform will offer students the best online courses with a clear and transparent blockchain based reward system and achievement tracking. It is also a unique tool for businesses to recruit tech talent and shape global education to their needs. Think of it as Coursera and HackerRank merged together, powered by the decentralized blockchain technology. A huge part of the Ethos mission is education and access. Any mass adoption solution for crypto must include educational materials that help newcomers understand the often confusing industry. Ethos is producing a course that will cover the fundamentals of cryptocurrency that will be offered as one of the first courses on the Bitdegree platform. This course will be FREE and open to anyone — in line with our commitment to universal access. Furthermore, I, Shingo Lavine, will also be doing a written interview with Bitdegree that will be published to the 000webhost community. I was personally a very early user of 000webhost which provided many of the tools that I needed to learn web development and interact with the tools that underpin modern web technology. 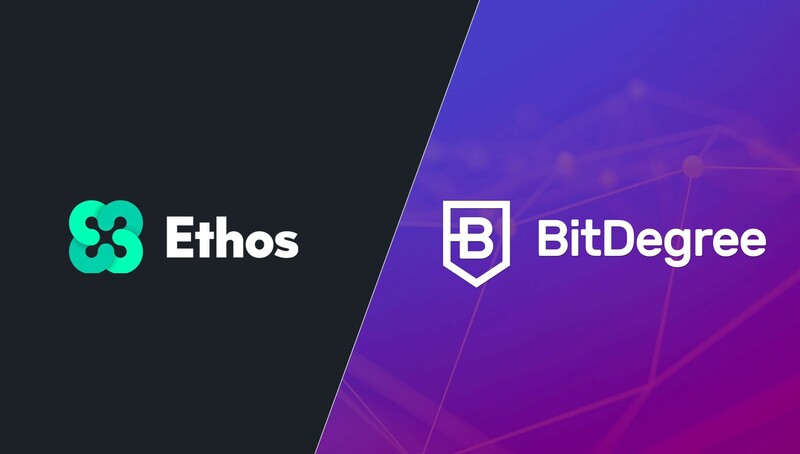 I am excited for what this relationship can bring as Ethos and Bitdegree’s offerings compliment each other very well. Bitdegree and Ethos can provide the educational foundation for mass adoption. Shingo is the Founder and CEO of Ethos. Digital Asset enthusiast. Blockchain technologist. Extraterrestrial destinations. Bringing the New Economy to you.